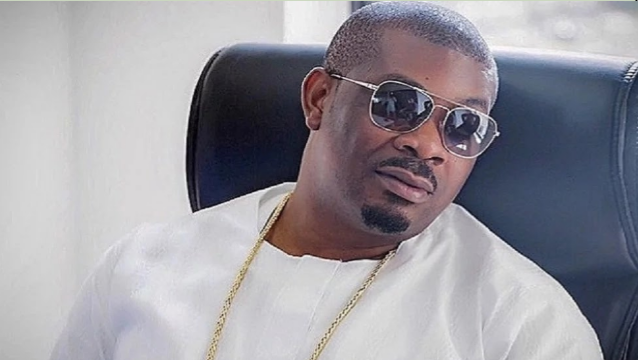 Mavin Records boss, Don Jazzy has shared screenshot of a private chat he had with scammer trying to recruit him to the "great illuminati". "Hello!!! Do you want to be a member of the great illuminati, and start receiving 1,000,000 monthly and be popular among others and have riches and fame. "This is the only chance of being of the illuminati. I was sent by a Freemason high chief to bring 52 members into the illuminati. I have goten 32, so we looking for 20,, so try and be among the twenty people to be rich and famous. Whatsapp +234********89 now be a member to achieve your goals and become successful in life thanks for coming". "Uncle sir.. Just send me your account details, make I send you small thing. Quit this work. U no even sabi am."